I was dealing with a situation internally where compliance was blocking all user research. When I started looking at my yearly research plan, I knew that managing a new beta group was a key research goal and sparked my interest in looking at our tools. Compliance is critical for our company, covering legal, security, and privacy. But, in order for our company to build the best products we also needed direct access to the right user research participants. I needed a way to use tools for managing my user research workflow that our compliance teams were comfortable with us using, didn’t cost a fortune, and actually allowed me to do my job as a researcher. I googled so many options for help with user research and workflow until I finally decided on Ethnio. Ethnio offered all the options and support I needed to help me manage my research goals. We needed a beta group and had a list of people in a spreadsheet, which was not compliant. While many of you reading this probably store P.I.I. in non-compliant ways, that’s just one of many reasons you can’t know who I am. Let’s start with Ethnio’s central participant database. In my experience looking at other tools, this was the most attractive element of ethnio, especially in that it integrated with screening, scheduling, and payment. It took us about three months to go through security, privacy, and legal reviews of Ethnio. Nothing super exciting to report here. Their documentation was helpful, and GDPR information as well. Here are the key steps we took to get Ethnio approved for an intercept, scheduling, and incentive payments. 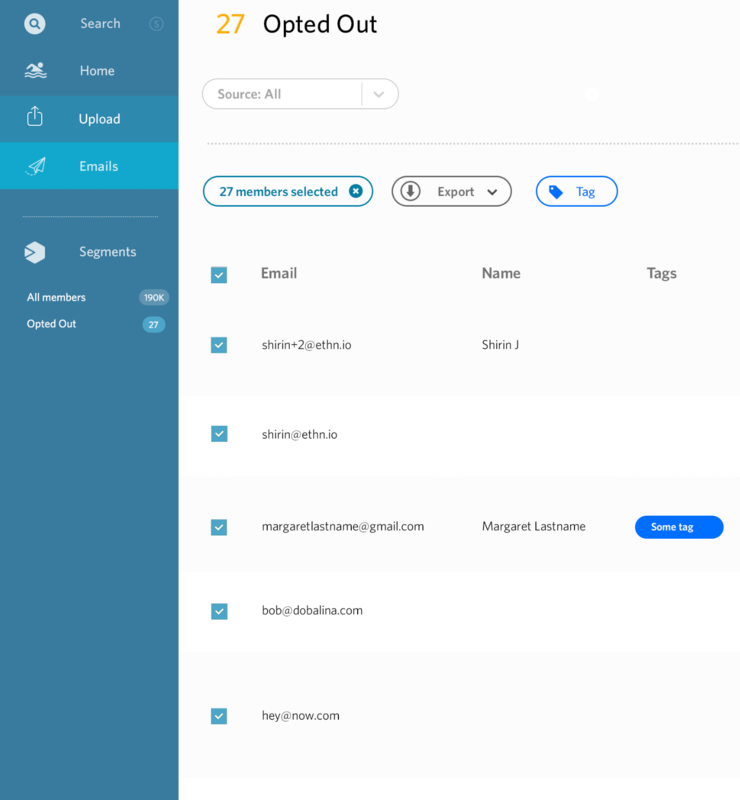 In Ethnio, I can add dynamic opt-out links with every email distribution. But what I really like, is that anytime a recipient clicks opt-out, they are no longer able to receive emails for any future study or from other team members here. If anyone else is dealing with compliance like I am, you know how important it is. My compliance team doesn’t care about someone opting out of a group, they want the ability to opt-out of all further research communication. Of course this is separate from our marketing email preferences, which is a completely different world of global opt-outs. In my research world however, allowing someone to tell us not to bother them for any research is extremely important. 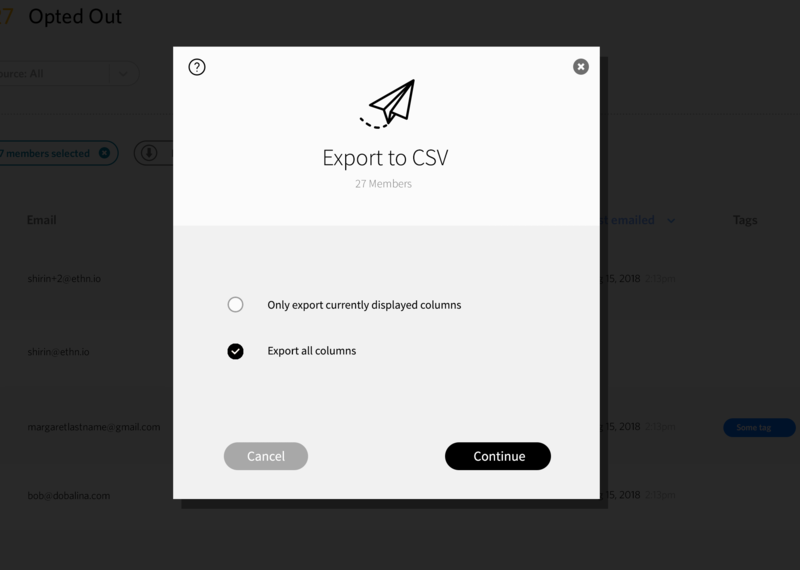 Syncing opt outs with our email marketing team: of course I can export these opt-outs to give to the marketing team, so they can add those to their opt-outs, but that’s a workflow we cannot control. 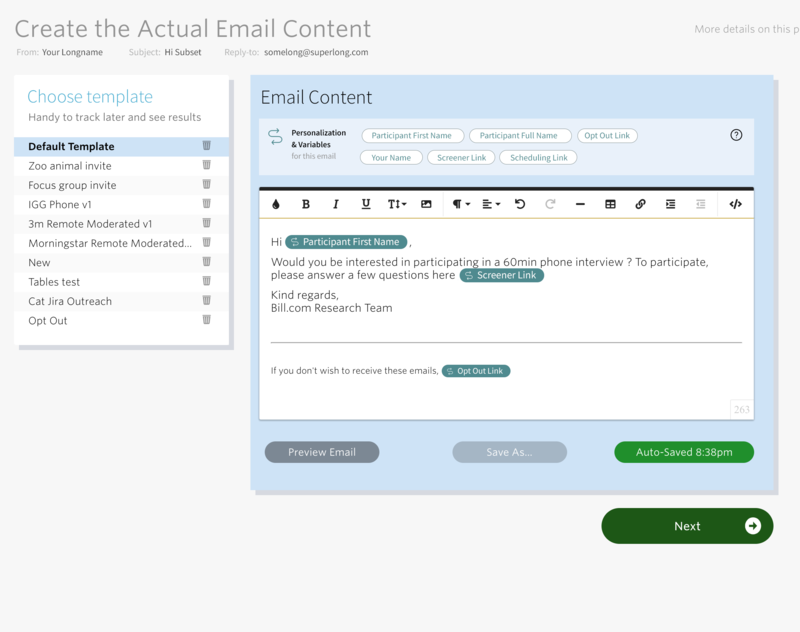 One of the issues that came up around setting up the initial email templates is that our internal guidelines for the look and feel of our emails are pretty strict. 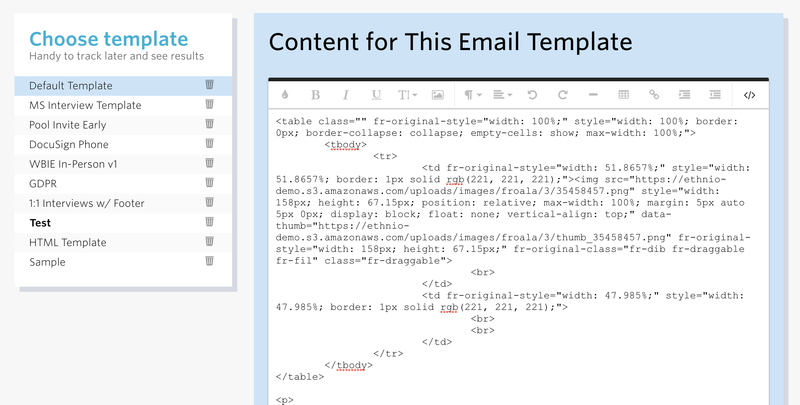 Ethnio let me import inline HTML into their templates, but not all the emails render in all my recipients emails clients the same way. This was a big challenge at first, and it took some iterating to modify the email templates in Ethnio to adhere our internal guidelines for most email recipients. It’s still something that’s tricky. Ethnio let me increase my research volume by more than 300% and drastically reduced the time it took to contact, screen, schedule, and pay participants. Before this, I was blocked on all research until I got to compliance. After being setup with Ethnio, we had the feeling we were ready to run our research program. I’d love to say this allowed me to tackle the type of longitudinal generative-research that we all yearn to conduct. The truth is, we were doing quick-hit product launches and Ethnio lets us crank out incredibly fast studies with everything tracked all in one place. But hey that’s user research, right?